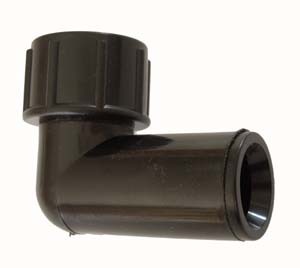 Use to attach .700 mainline tubing to 1/2" MPT (Male Pipe Thread) fittings, sprinkler risers, etc. The Threaded Female Elbow has 1/2" female pipe threads. The compression end accepts .700 poly tubing or .700 soaker hose. Will screw onto 1/2" sprinkler risers to convert to .700 drip tubing.